I have jumped all over the washi tape craze, but sometimes, the cost is a little much. On the wish list for my birthday, I asked for white artist tape for the sole purpose of decorating it. Thanks to my awesome hubby, he got me everything on my wish list. 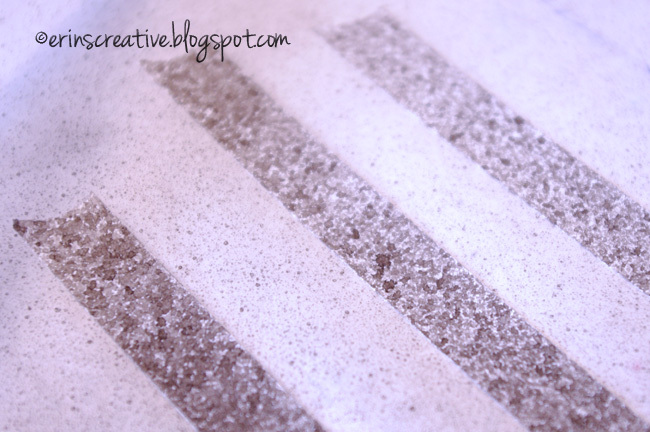 If you want make your own washi tape, take strips of the artist tape and place it on the wax paper. For what I wanted to do, I used a mini mister, india ink (or liquid water color) and water. For the black, I filled my mister up 1/4 of the way with water and added 15 drops of india ink. I sprayed the tape and let it dry. As my son Maben would say, "Easy Peasy Lemon Squeezy!" India ink is waterproof, so once it's dry, you shouldn't have to worry about it smearing. 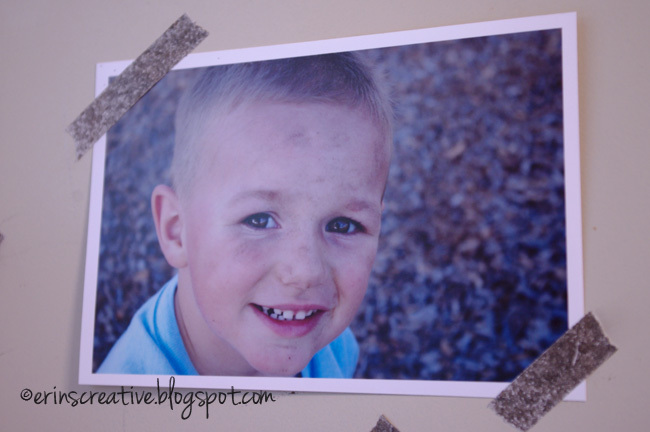 For the colored tape, I used liquid water color the same way I did the ink. I used the liquid water color because it is what I had, but if I wanted it to be more durable, I would have gone out and bought colored india ink. How gorgeous is this watercolor? Love it! 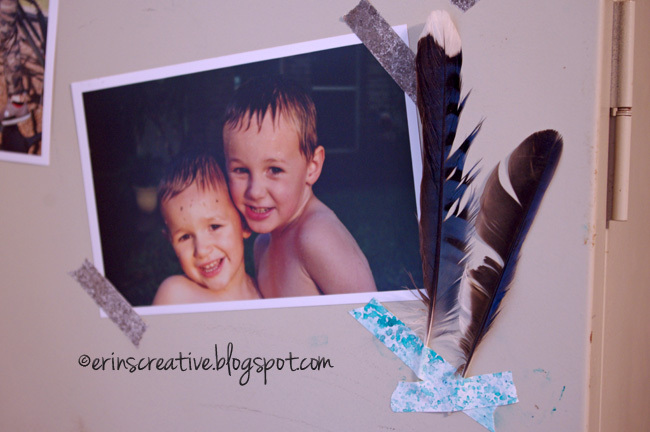 I used the tape to attach some photos and feathers to the side of my metal supply cabinet that is in my art/craft room. Have any of you ever decorated your own washi tape? Want to try it now? 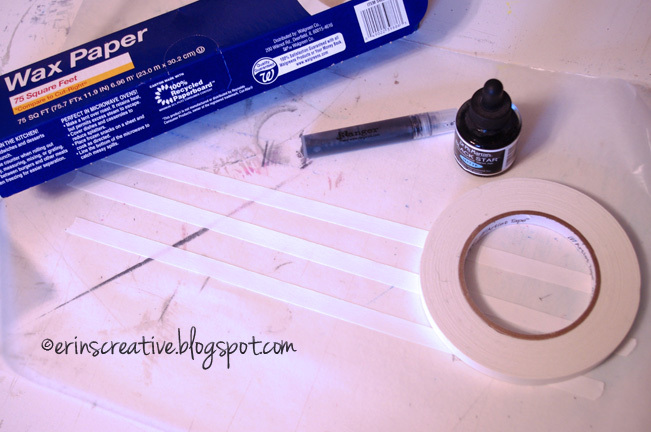 I can think of a few more ways to decorate some white artist tape. Markers, stamps, splatter paint, ect. Hmmm, maybe I need to do another post with all these ideas. 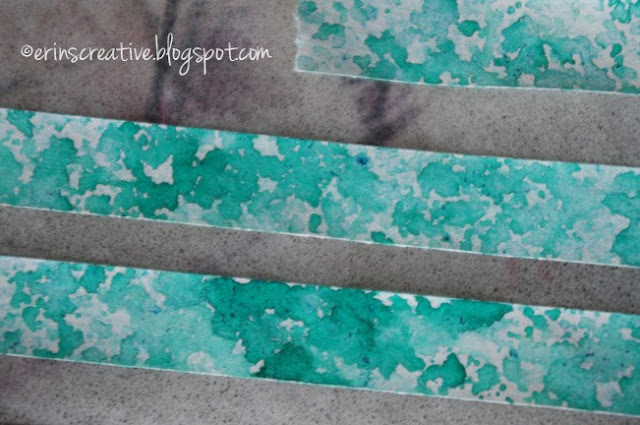 I love the watercolored tape! I just used up the last of my artist's tape... looks like I'll have to get some more and try this out!